I’ve always wanted to make my own butter so when my friends Sarka and Giulia made their own in januari I decided to finally give it a go. I started this butter making adventure on a sunday morning while the rain outside in the garden became snow and snow turned to hail. B was reading a book while I was shaking a jar and soon he joined in and we were shaking and tapping together, sitting on the floor with our backs against the heating. I can’t believe I didn’t do this sooner, the rewarding taste of homemade butter is yet to be equaled. The butter made me want to bake delicious bread to go with it and left me inspired to cook and write all day! 1. 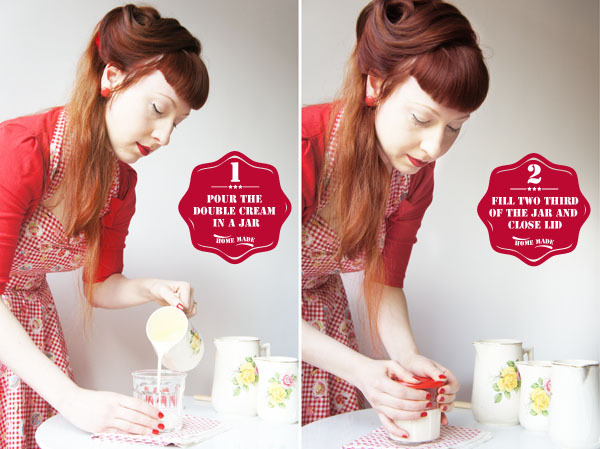 Pour the double cream in to a jar and fill it for two third. 4. 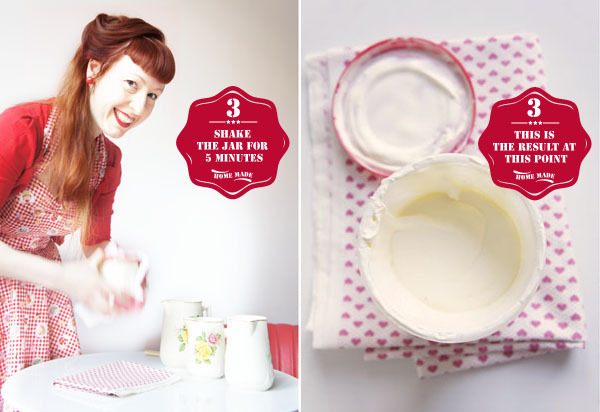 Shaking might be difficult now so wrap the jar in a tea towel and tap it on the floor. Turn it up and down again while you tap it. 5. At this point the buttermilk should be starting so separate from the butter, drain the buttermilk by squeezing it out with a spoon or spatula. Keep the buttermilk. 6. 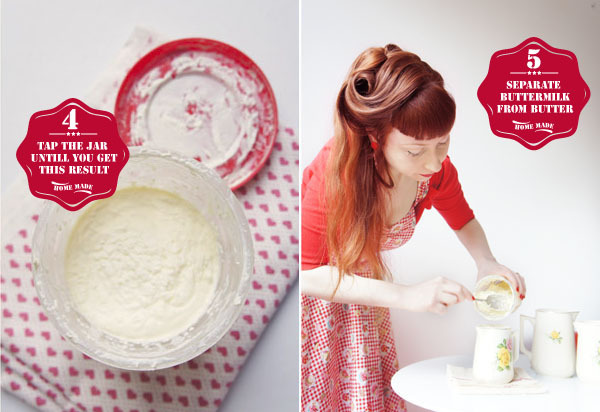 Try to get out as much buttermilk as you can, keep squeezing until it becomes to look more and more like butter. 7. Pour water into the jar to wash away the last of the buttermilk from the butter. 8. 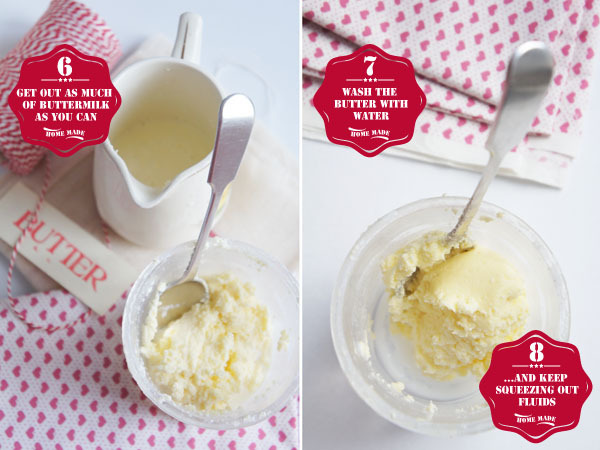 Use your spoon or spatula to squeeze out the remaining water. 9. Now add seasalt and herbs or garlic. Home made butter, the best! Whoever said that butter is unhealthy? You should see my biceps after shaking and tapping the jars. But is was loads of fun and the taste is so much better than what you can by of the shelf. Loved it! Wonderful post Regula! I love the photos, that everything is red! 🙂 I will share your post on Twitter and Facebook! 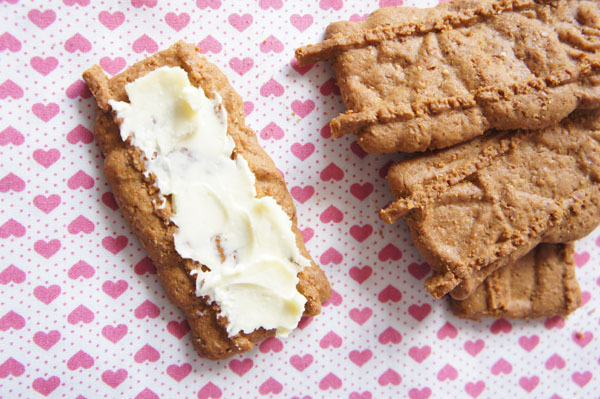 The new blog design is gorgeous, and this recipe reminds me of my childhood. I'll be trying this soon. I had a go at making butter for the first time recently and I was really impressed how easy it was. Butter is so pricey now compared to a few years ago that if you see cream knocked down in the supermarket it's well worth grabbing pots and churning it yourself. Your pictures with all the graphics and red/white colour combo have real impact, very memorable and distinctive – I love them! I was also impressed how easy it was and it made me wonder why people don't make butter more often! I've never tried making butter, but your post makes me want to attempt it!! I adore your photos – they're stunning and I love the creativity of the annotations! Thank you Mel, I had fun creating this post! Where can I find double cream? Depends where you live, in the UK you can buy it in every supermarket or even better at farmers market. i've made butter before, but it was by mistake… over-whipped heavy cream in the stand mixer. all i did was add a bit of sea salt and pack it in a glass jar. yummy! What absolutely gorgeous pictures! 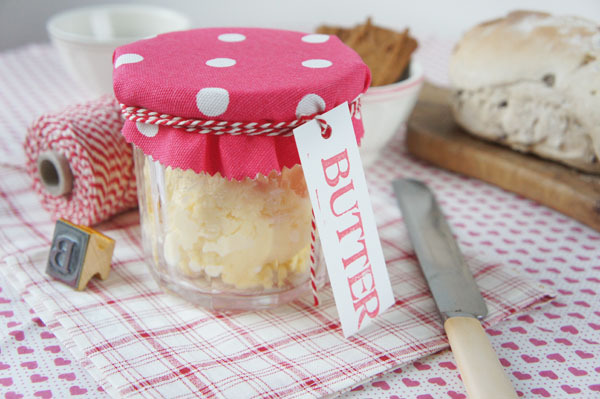 I've made homemade butter before, and I love the way you can add different flavours too it. It's also slightly magical watching the cream whip up into butter! So true, there is magic in butter! It tastes so much better home made! ps: love the vintage style of the photos! Oh do try Giulia, it's so easy and the taste is so rewarding! Oh I love the pictures! 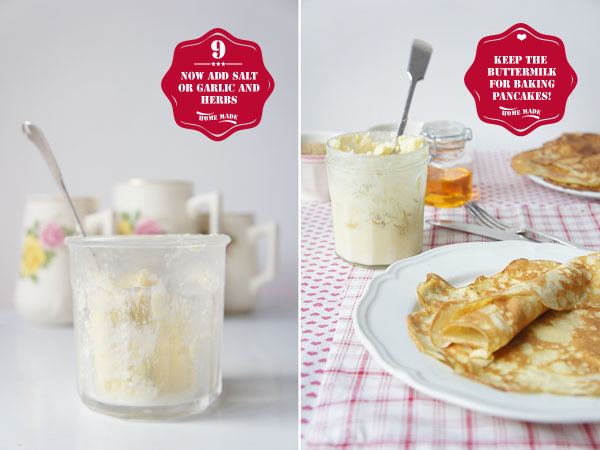 and the vintage step-by-step recipe cards! AND especially how your clothes and makeup match all your cutlery and food haha!